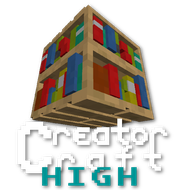 On this page you can find all downloads for 3D CreatorCraft! If you want to see more of 3D CreatorCraft before downloading, you can check out the Preview. 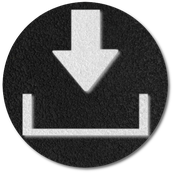 Before downloading please read the Download and Installation Guide, that shows you how to install 3D CreatorCraft. Detailed Differences between the Versions. This version has all features of 3D CreatorCraft. Many blocks have 3D addons and ALL items are 3D. To play with this without any complications you will need a good PC. 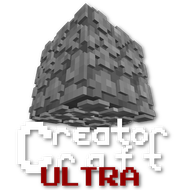 Originating from 3D CreatorCraft Ultra, this Version has some "downgrades", such as block models with less addons like sandstone or cobblestone. This version is recommended for people using an average PC. The Medium version, that is deriving from 3D CreatorCraft High, has some more missing block models and is a good option between 3D CreatorCraft High and 3D CreatorCraft Low! The performance intensive block models are missing in this version, which makes sure that there are less performance impacts. This version is recommended for players, that use an older PC. It is also recommended for PvP players. How to install 3D CreatorCraft.